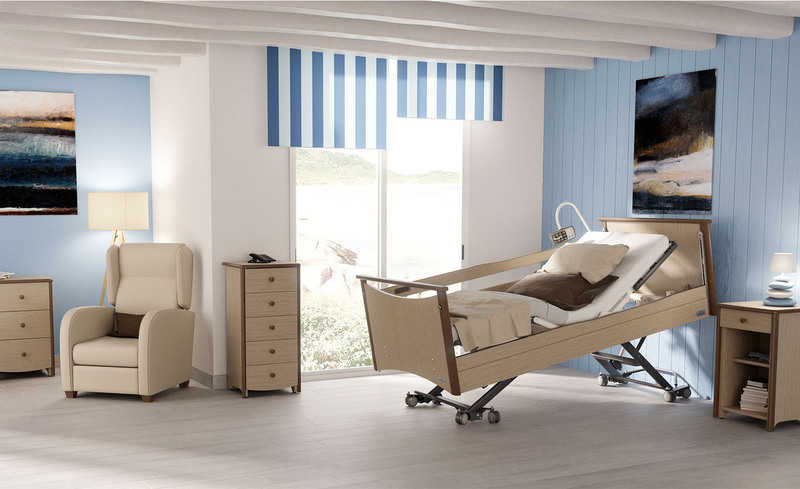 The Eole range, a modern curved line combining classicism and solid wood’s heat. 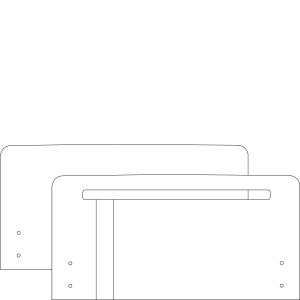 Its squares buttons in stainless steel finishing give it a design aspect. 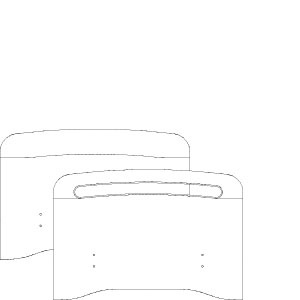 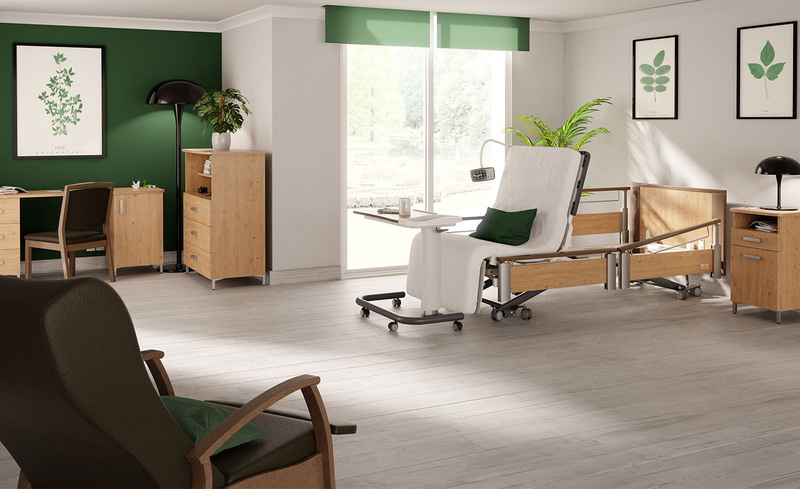 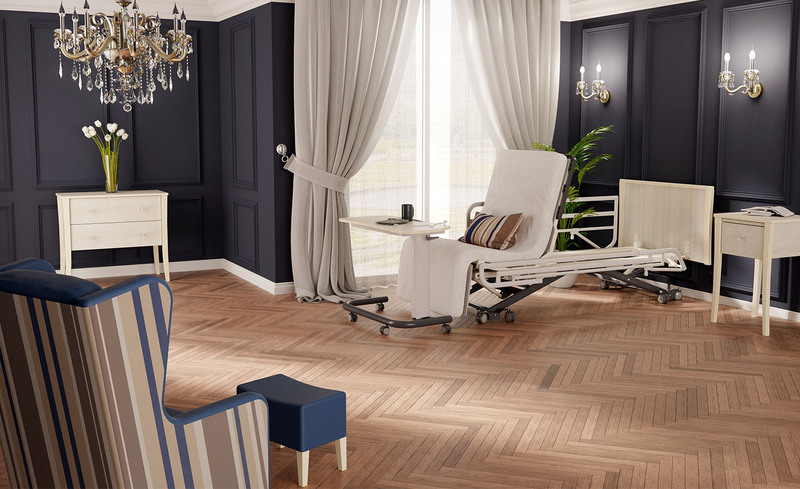 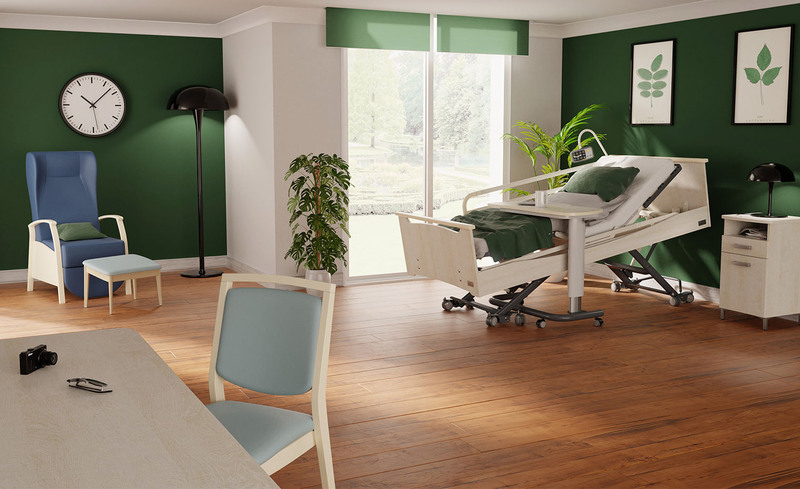 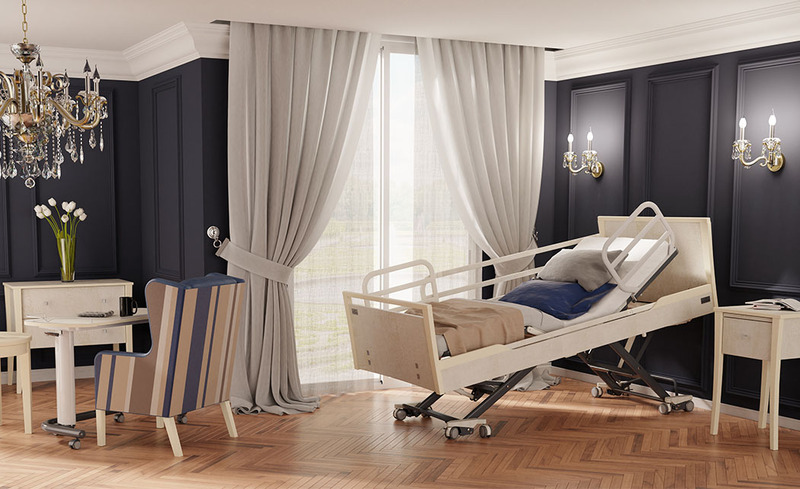 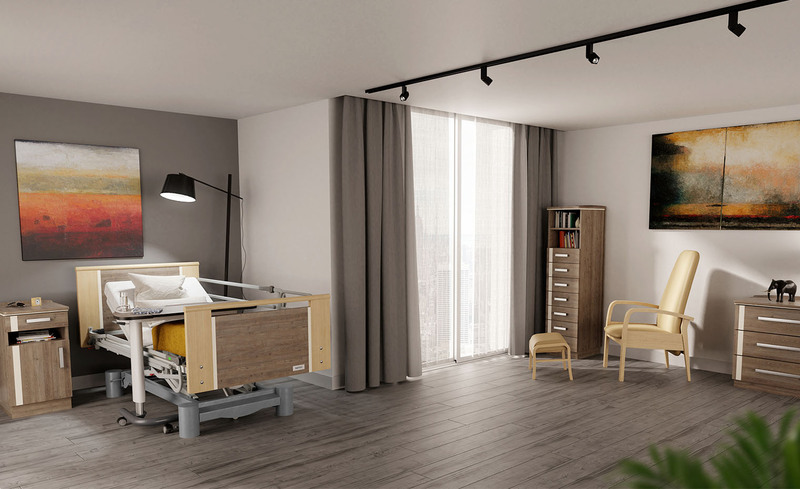 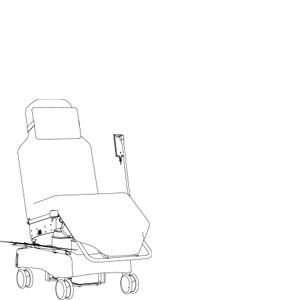 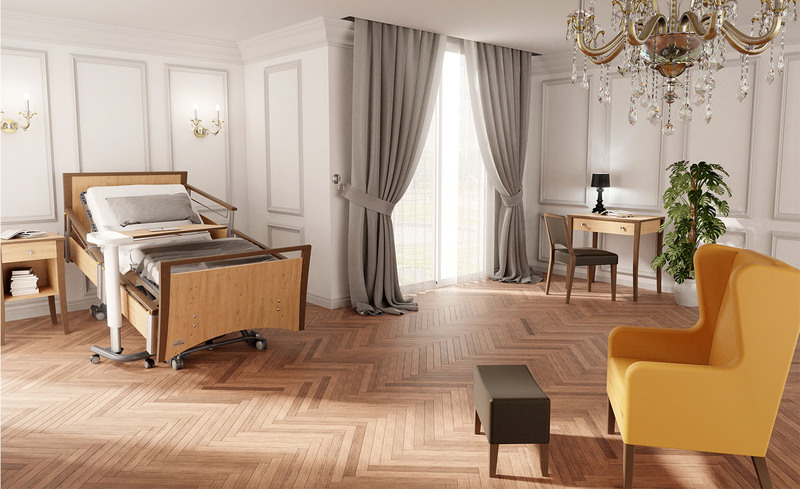 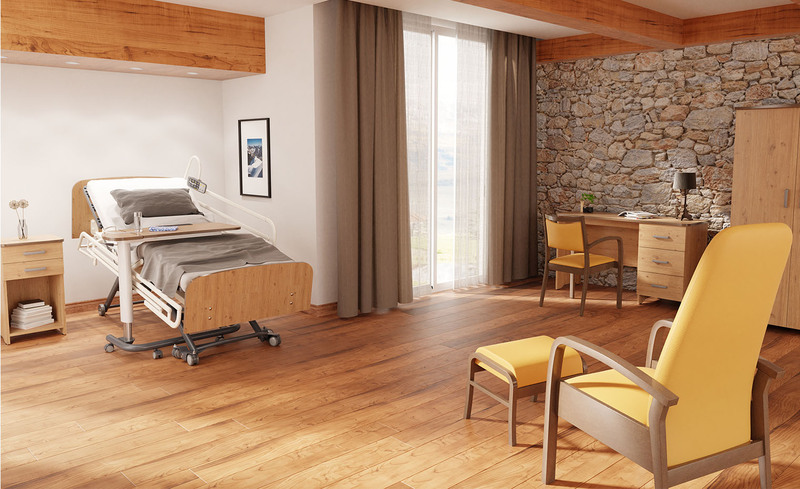 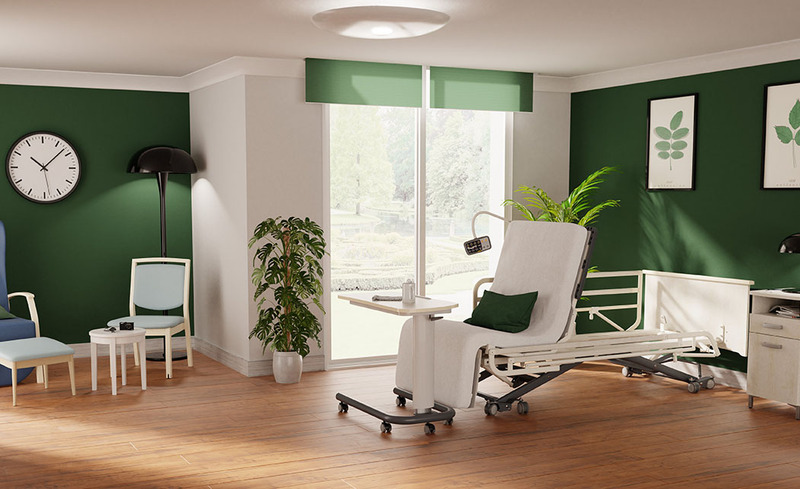 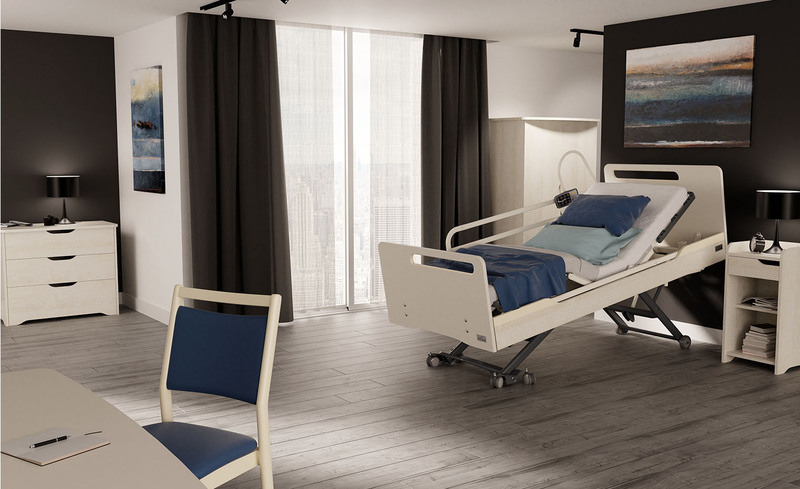 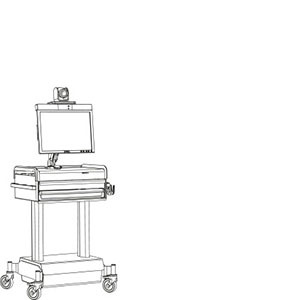 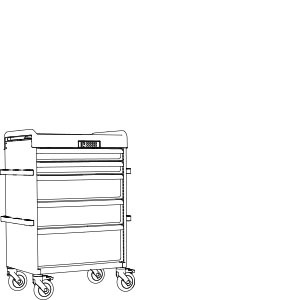 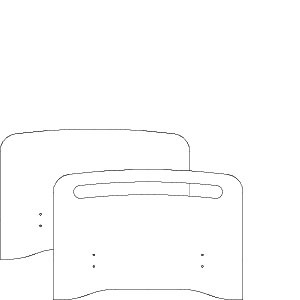 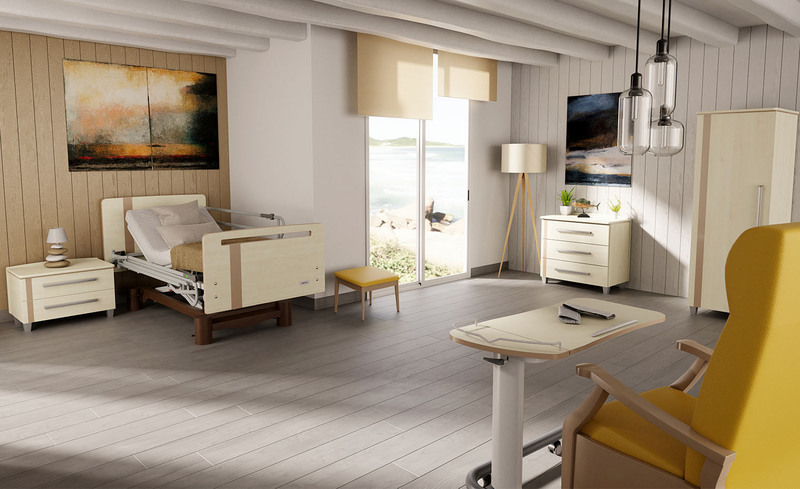 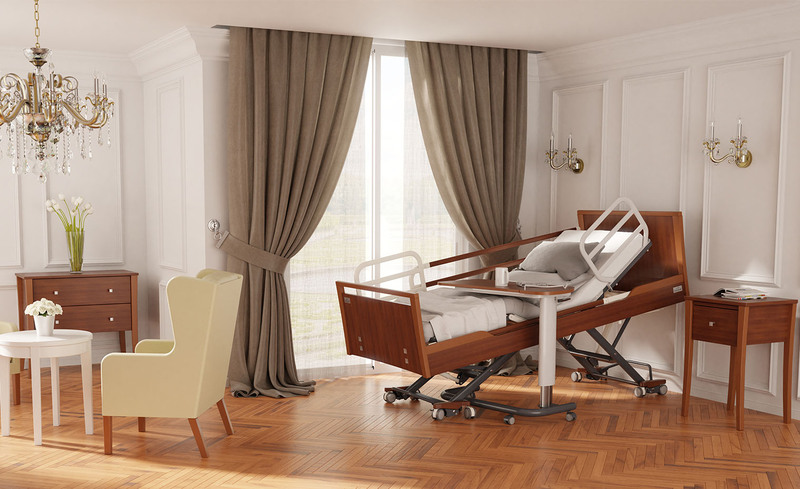 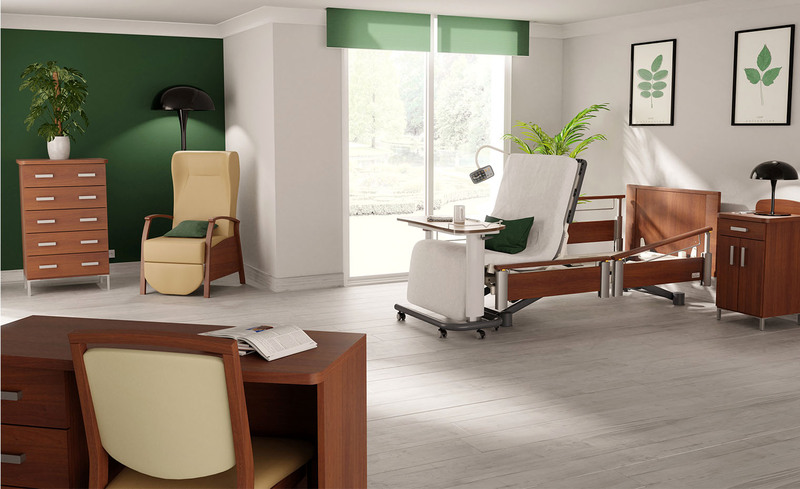 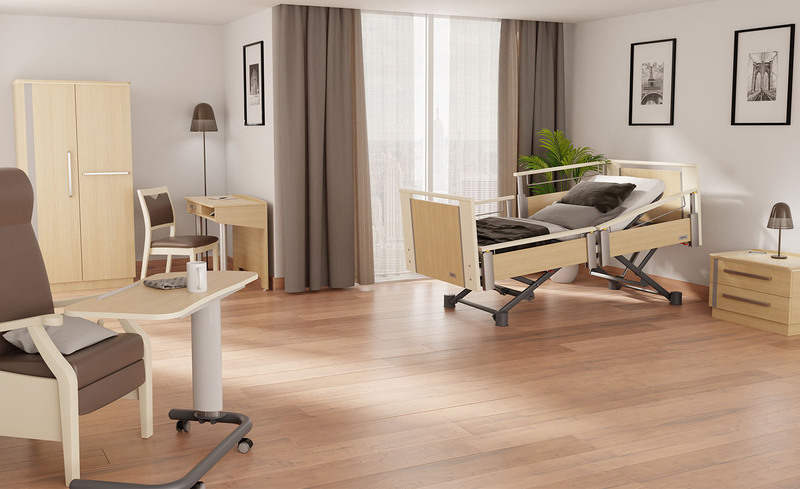 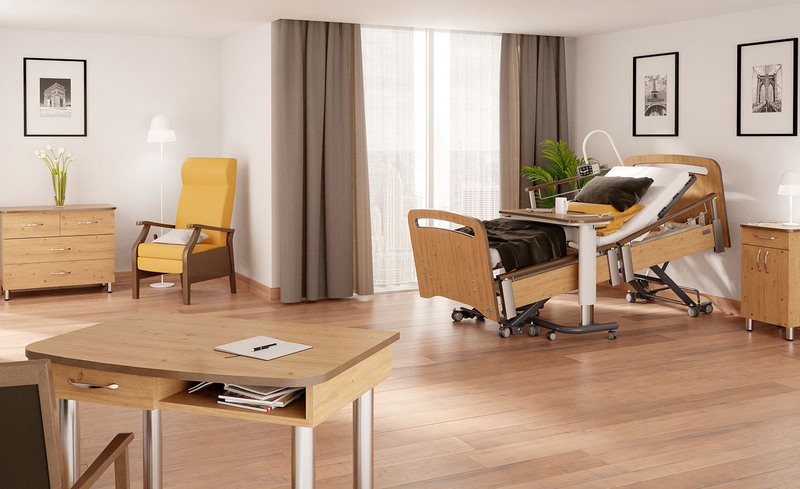 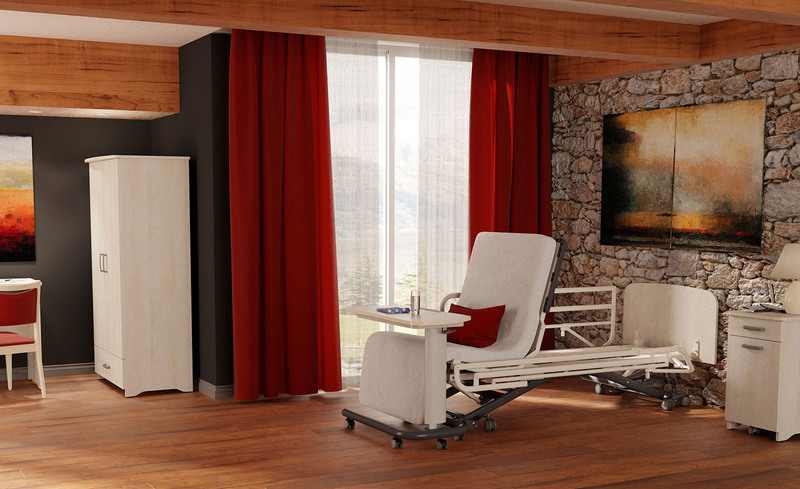 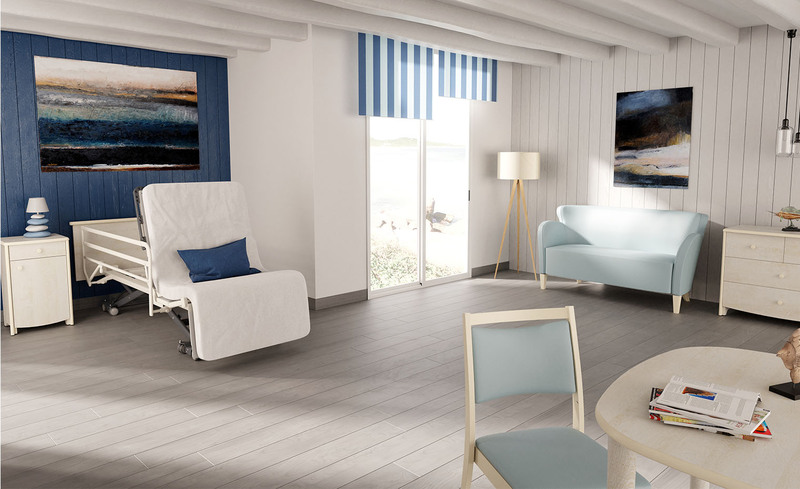 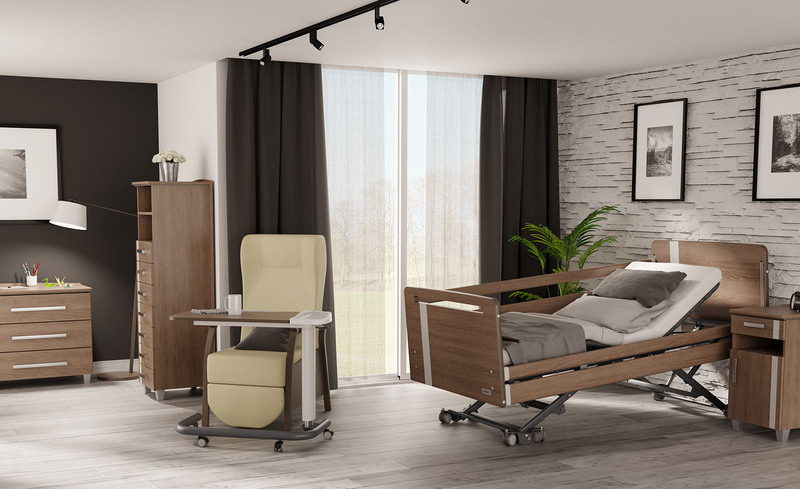 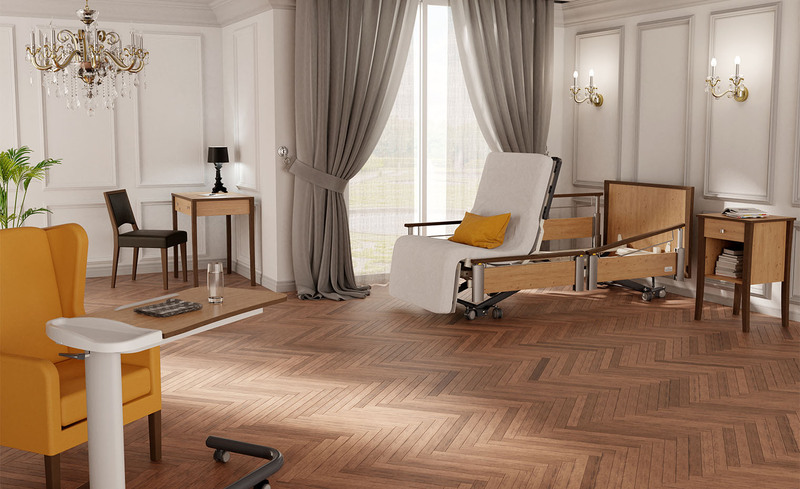 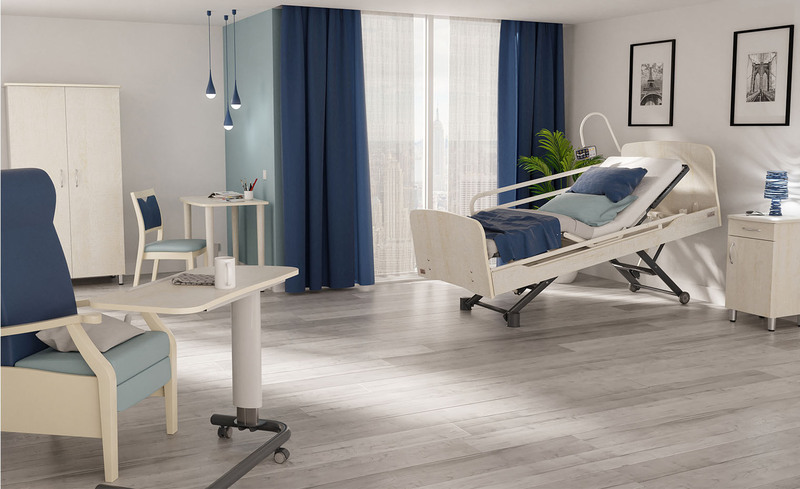 The Aubance collection has been created so as to it can be integrated easily and smoothly in nursing homes. 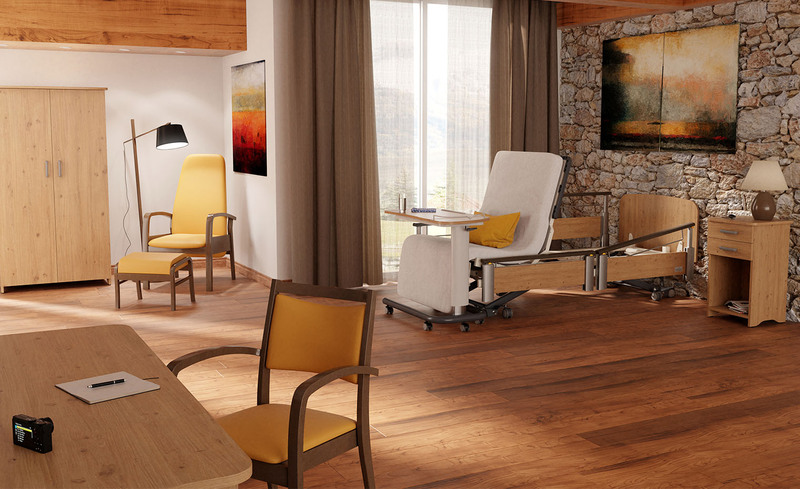 Modern boldly, it creates a real hotel environment, comfortable, soft and customizable. 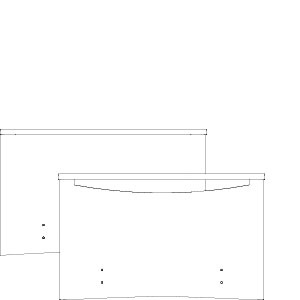 Urban, an asymmetric line, solids handles on facade and a stand embed to a box for a special design. 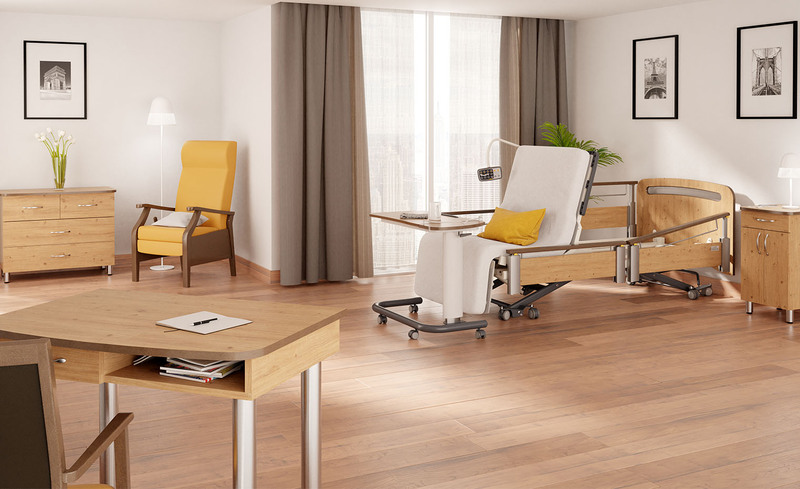 The Artemis line has been made so as to satisfy a structure that will search ergonomic furniture, comfortable and timeless style. 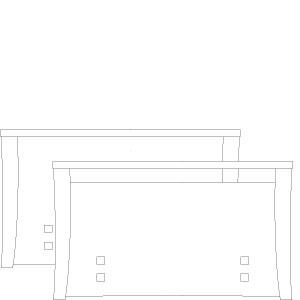 It is the current trend. 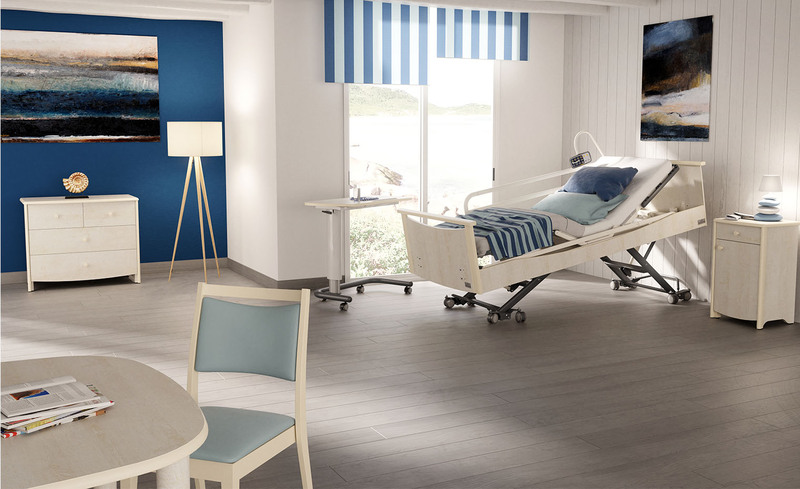 Etretat line inspires mind and calmness so as to create a comforting environment thanks to its lines and materials. 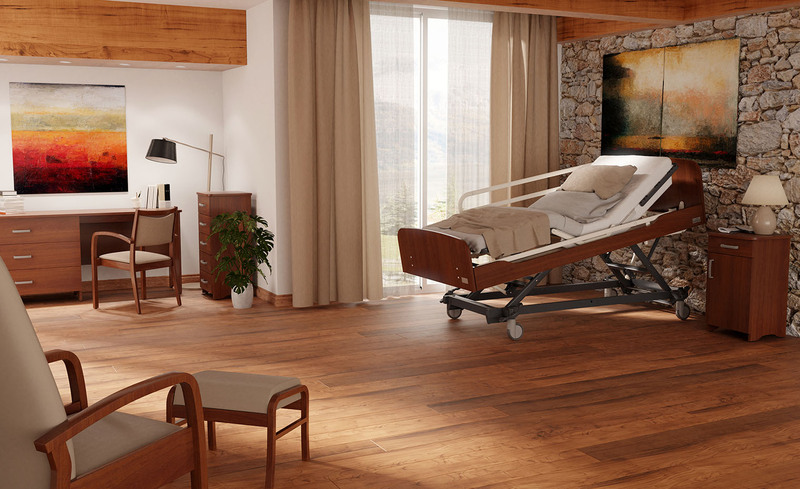 Offering a large selection of shades for its varnished woods, aircraft wings and continuous base. 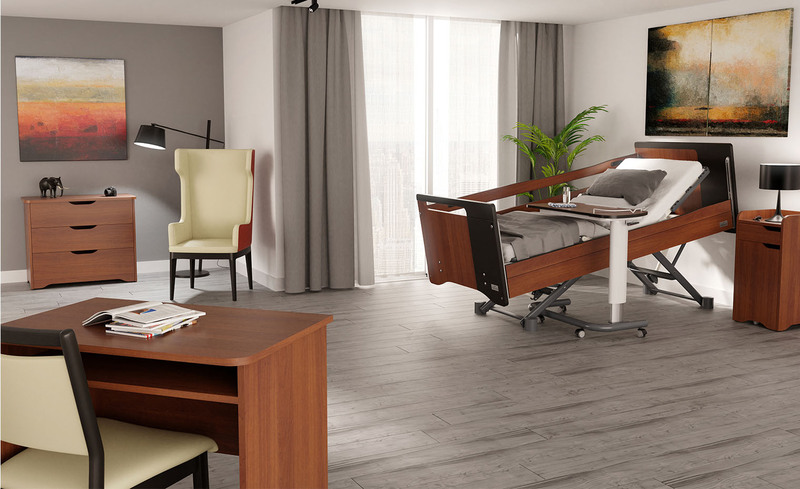 Oreline line has been made so as to satisfy a structure that will search ergonomic furniture, comfortable and timeless style. 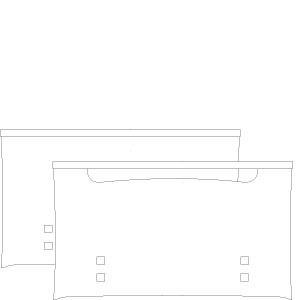 It’s a current trend. 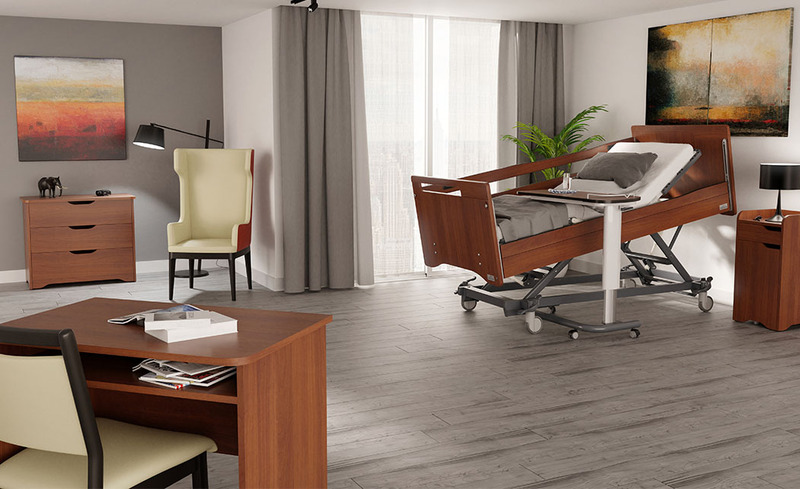 Montana line combines efficiency and simpleness. 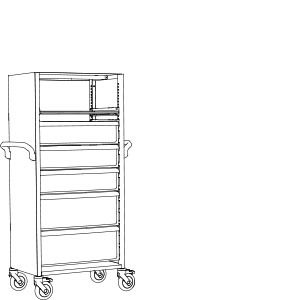 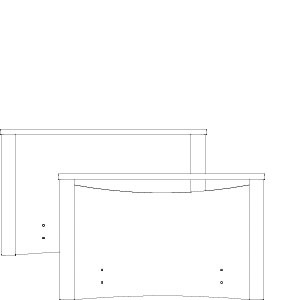 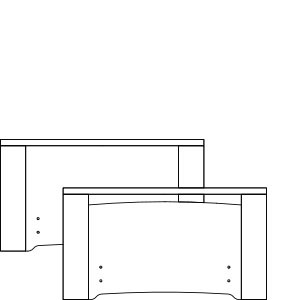 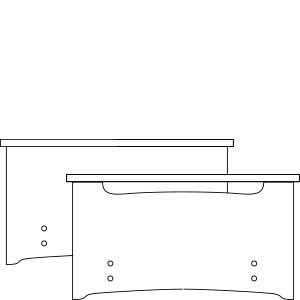 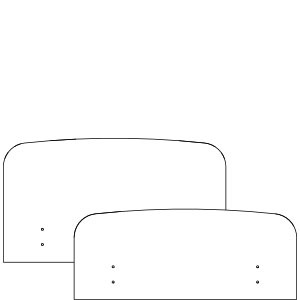 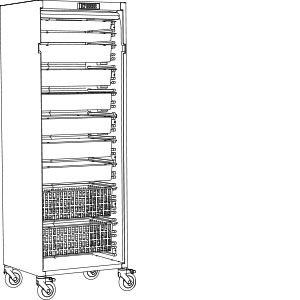 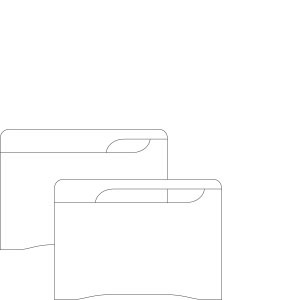 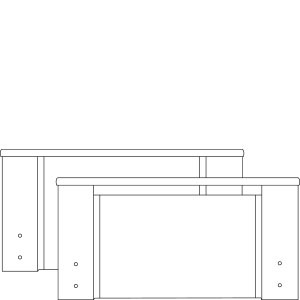 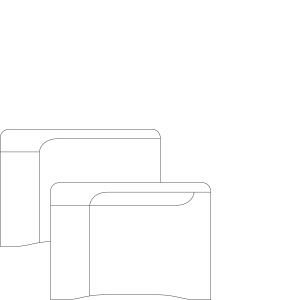 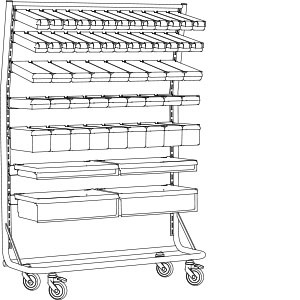 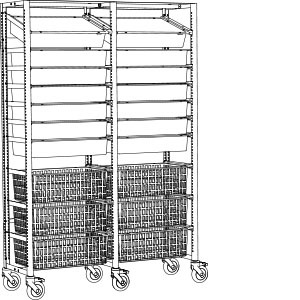 With its functional fixed and rounded edges, the furniture affords ample storage. 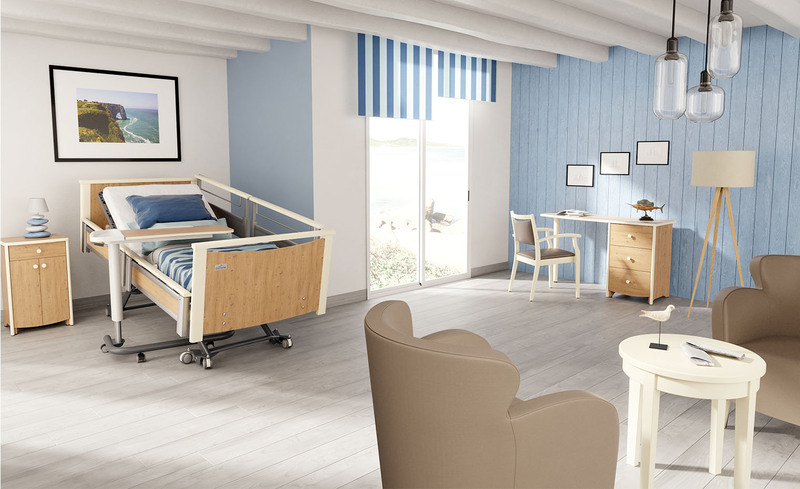 Combining quality and simplicity, Montana line respects and meets the requirements. 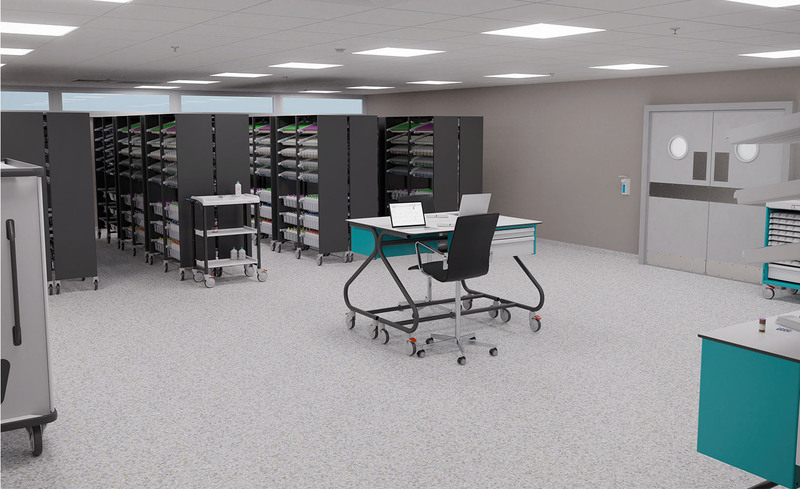 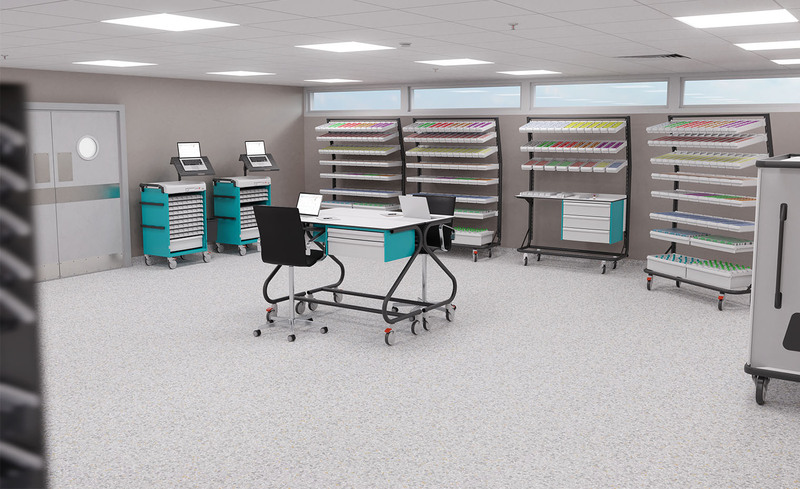 The compactness of our workstations and the modularity of our equipment create additional space to help you prepare medications with serenity. 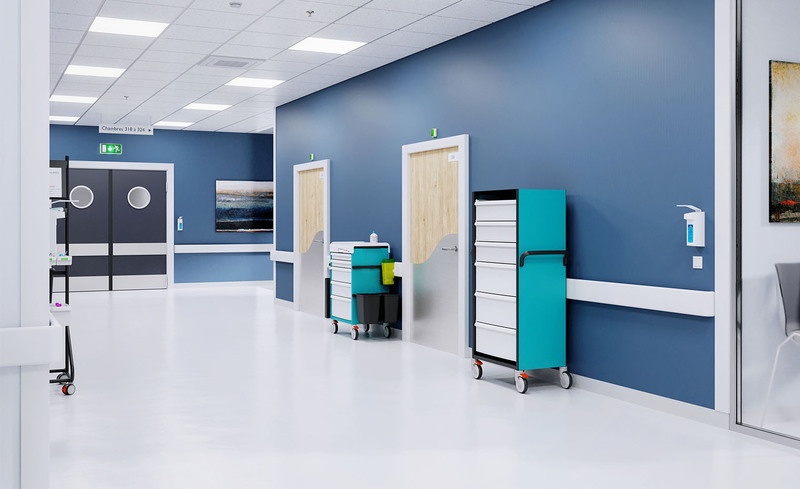 The Corridor is often a neglected place and yet so important. 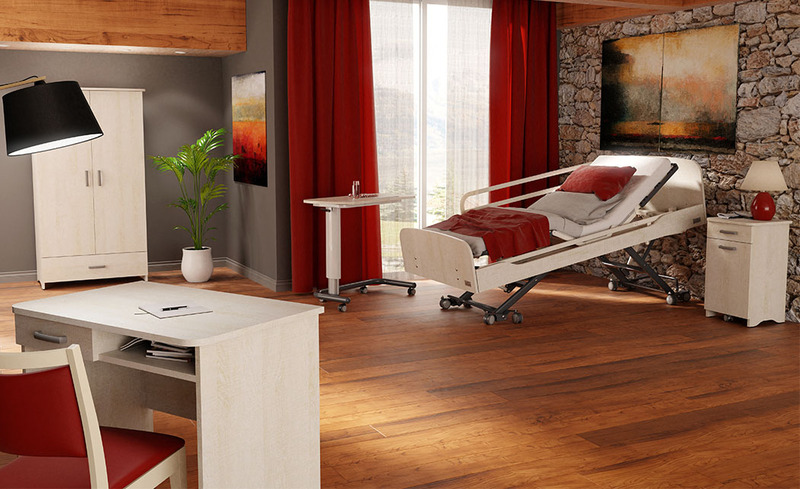 The choice of security facilities will allow you provide treatment and care with serenity. 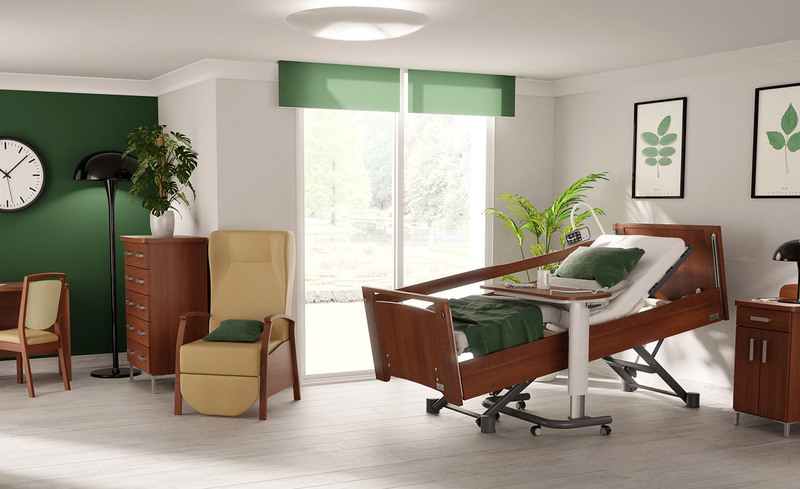 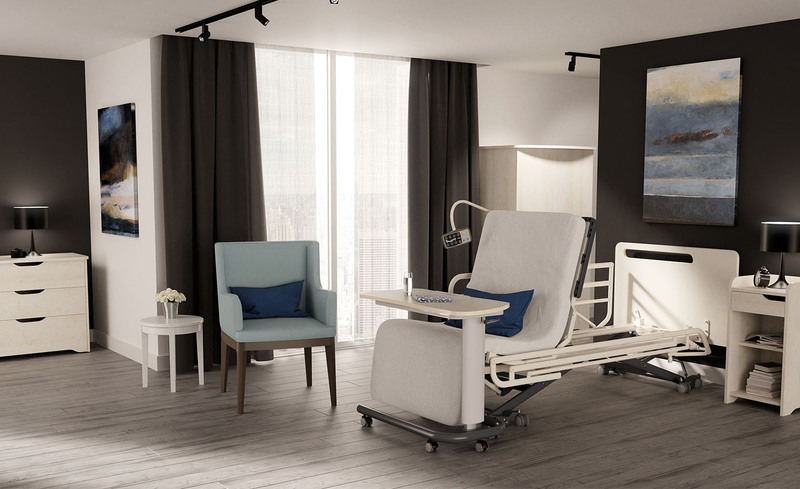 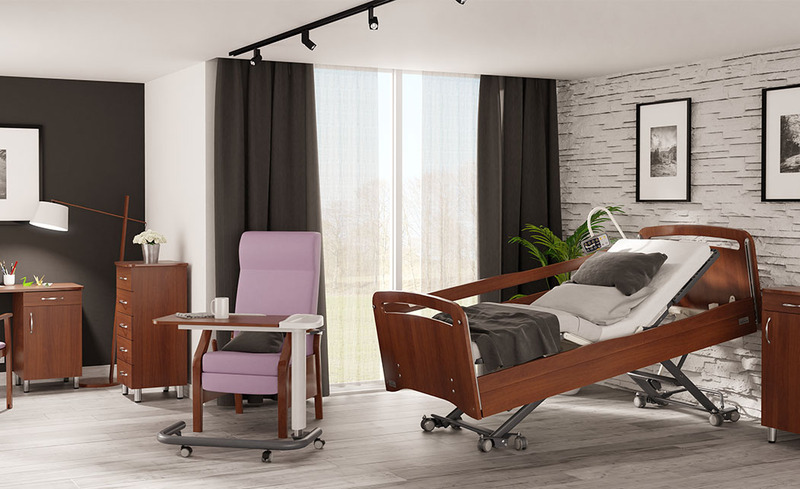 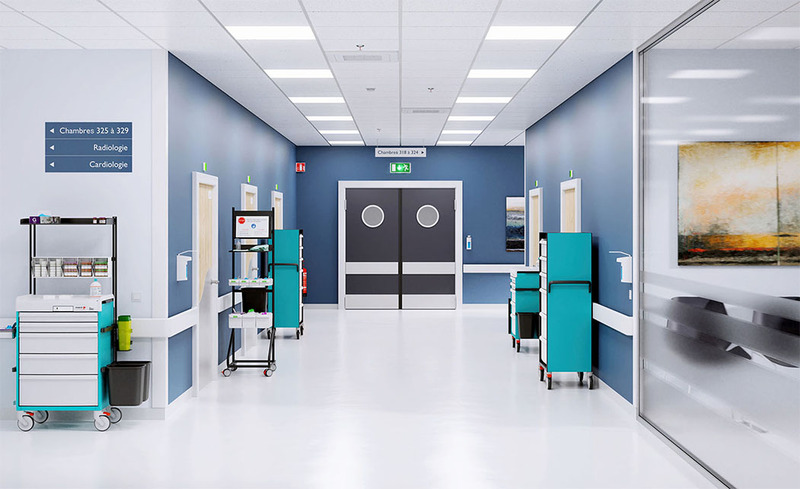 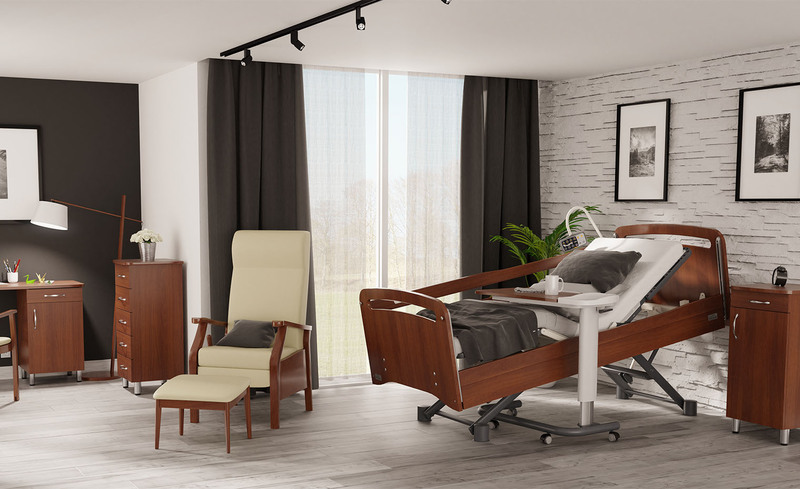 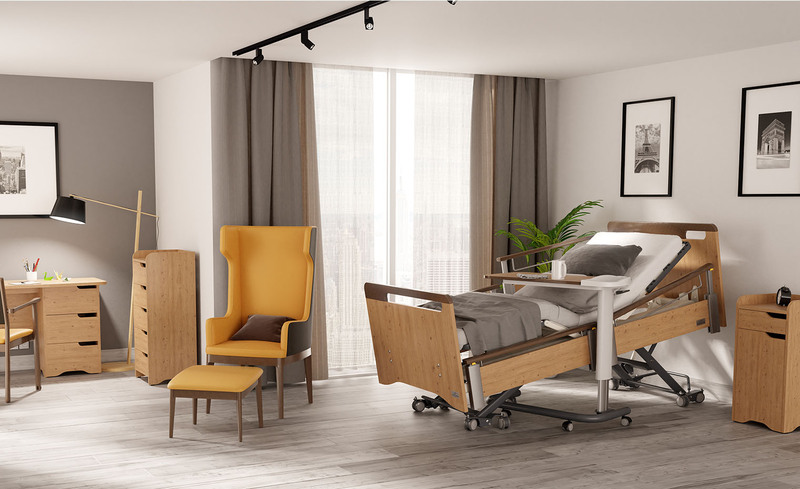 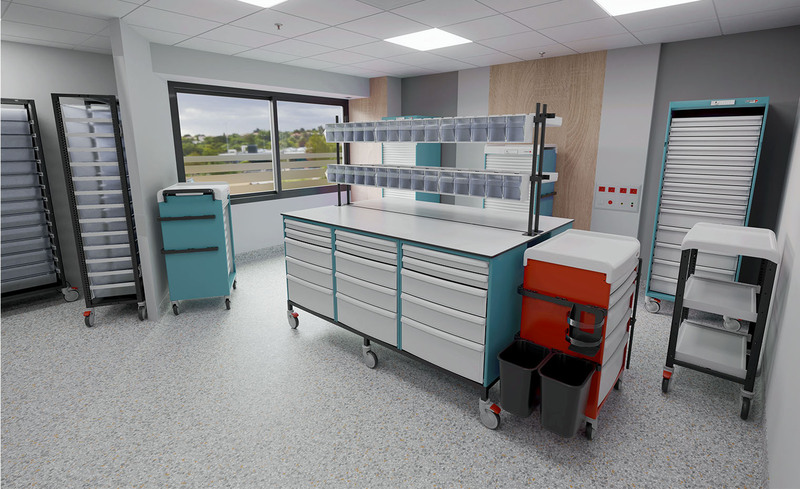 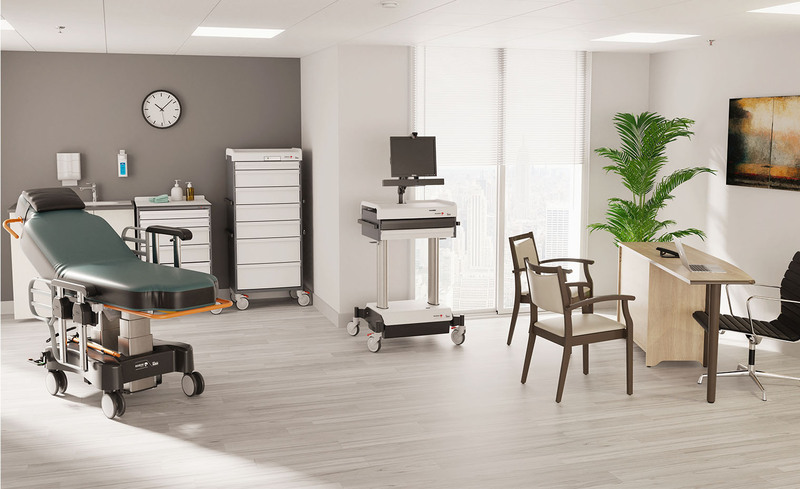 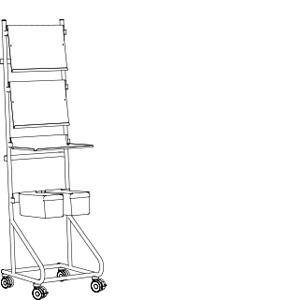 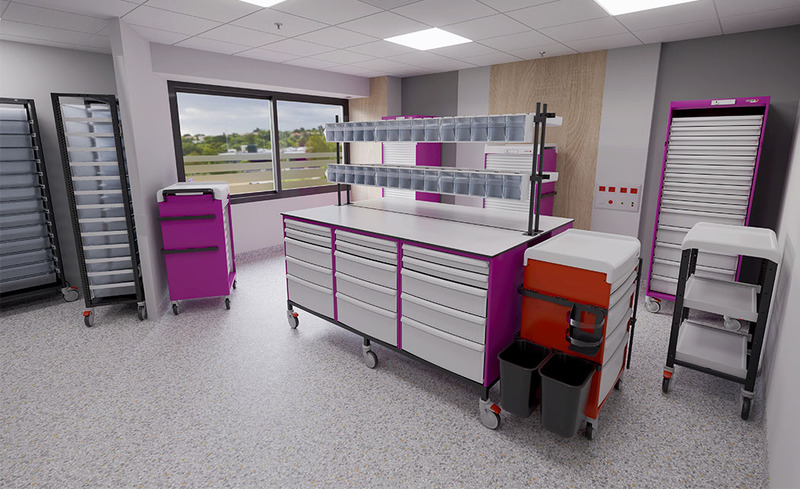 The using comfort of our furniture combined with our ambulatory chair, medical trolleys and cabinets will allow you to provide quality cares. 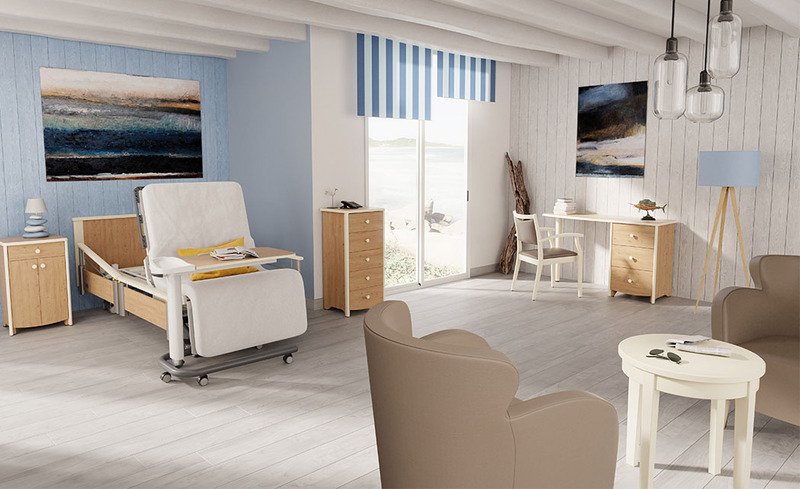 The range of colors will give a tartness touch to your embellishment.